Fantastic news for music aficionados in Texas, Louisiana, Georgia, and Florida! Seattle's #1 adult-problem punk group, Wimps, is hitting the road in June to play a week of shows. Reside somewhere outside the SE corner of the United States? No problem! Wimps have released an MP-FREE download of three songs recorded live at Walker Studio with Graeme Gibson for Portland's XRAY.FM back in December 2015. 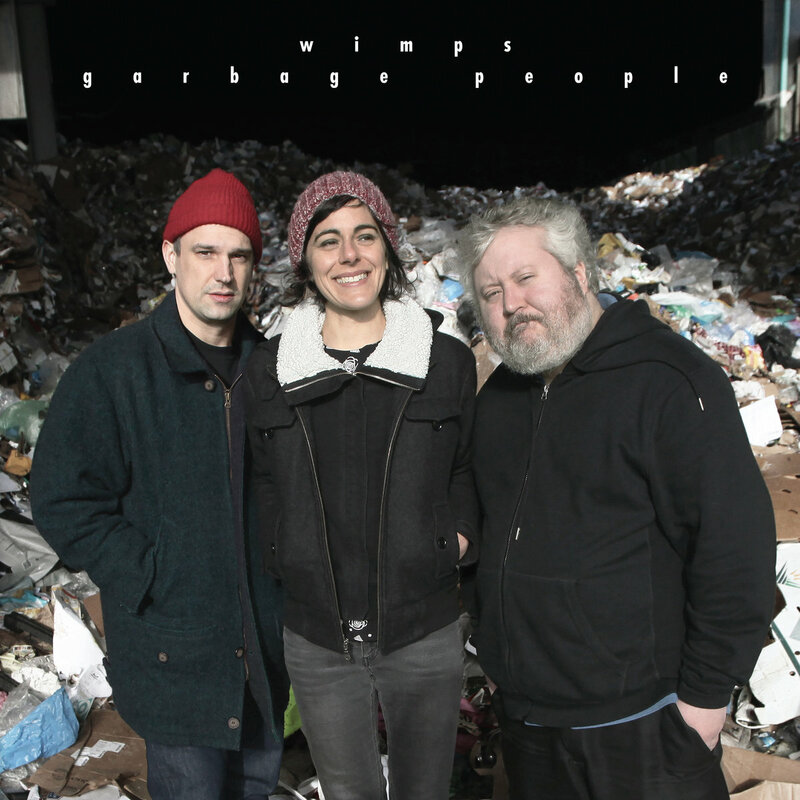 If you've ever wanted a free legal download of Wimps playing live versions of Suitcase tracks "Dump" and "Old Guy" as well as the fan favorite song "Super Me" then this will be your favorite .ZIP file of 2017. WIMPS RELEASE VIDEO FOR "OLD GUY" AND SHARE WEST COAST TOUR DATES! Seattle, WA punks WIMPS are following up appearances at this year’s Sasquatch Music Festival and Bridgetown Comedy Festival by releasing the Marcy Stone-Francois directed video for the song “Old Guy” off of their 2015 album Suitcase. Join them as they embark on an adventurous evening of leaving the house that culminates in a dance-off between Rachel and her inner old-guy. Who will bust the most moves and receive the night life crown? Can people under 30 be trusted? Watch and discover for yourself! In other Wimps news, the band's recent live performance on WFMU's Evan "Funk" Davies show is now available to download at the Free Music Archive! Wimps share video for COUCHES, get into the ART ZONE, and prepare for East Coast tour! It's Wimps video week at KRS hq! Not only have Wimps debut the video for their punk mega-jam Couches, they've also appeared on the latest episode of Art Zone with Nancy Guppy to play KRS office fav "Old Guy" AND the song "Take It As It Comes!" Both songs appear on the band's new album CHECK IT OUT! CATCH WIMPS ON TOUR THIS SPRING! Click here to pre-order Suitcase on LP, CS, CD, or MP3! Suitcase will be available in stores on November 13th, 2015. Wimps to release 'Suitcase' on November 13th! Seattle's punk rock slackers-in-chief Wimps are a Seattle-based three-piece comprised of scene veterans Rachel Ratner (Butts) on guitar and lead vocals, Matt Nyce (Meth Teeth) on bass and backing vocals, and Dave Ramm (The Intelligence) on drums. Wimps serve their own brand of rapid-fire punk with a smattering of lo-fi post punk guitar work to create an angular, slightly off-kilter blast. Ratner lyrically twists otherwise common day-to-day woes into relatable tales of struggle shout-sung call and response stabs that champion boredom, laziness and social anxieties with wiry riffs and punchy bass lines, propelled by the measured rhythms of drummer David Ramm. Wimps have come up with a ton of INSANE pre-order ideas for this album including a knit beanie starring their soon-to-be-iconic skateboarding hotdog and an iron transfer so that you can make your own Wimps t-shirt at home! Click here for more info! Wimps fans should also check out the band’s still-new Super Me EP, which is available on cassette and good ol’ MP3. Wimps' Super Me EP isn't in stores until tomorrow but you can stream it NOW at the Kill Rock Stars Tune In radio station! What a world we're living in. Wimps 'Super Me' EP will not be available in stores until Friday, August 7th but you can stream the EP NOW care of the folks at Noisey. Check it out! WIMPS SIGN TO KILL ROCK STARS! Great news! Seattle, WA punk band Wimps have joined the Kill Rock Stars family and will be releasing their Super Me EP on August 7th on cassette and MP3. Wimps previous releases, Repeat, Party at the Wrong Time, and Couches, in addition to their highly entertaining live show, have made them a favorite in the NW DIY circuit for the past few years. Somehow, the new songs are even better! Click here to order Super Me digitally at Bandcamp. Super Me will be followed up by a full-length album late in 2015. Stay tuned for more exciting news!